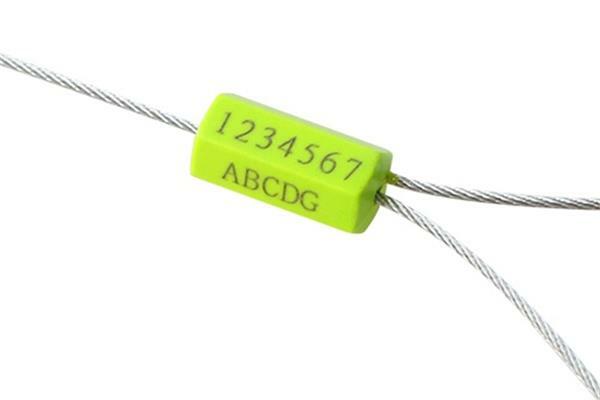 As one of the security seals, cable seal is mainly made of steel which can lock some objects which are difficult to lock. More importantly, it is solid and reliable. Its high cost performance makes it popular recently. Many industries can use cable seals and it can be widely applied in society. And cable seal is made more exquisite and currently society pursues fashion. So whatever industry is in innovation and cable seal is developing along with times development. Developing from old seal, it currently looks more exquisite and with tenacity and it is not easy to break, therefore, many companies love it. More importantly, it is made of steel and aluminum, serial number, logo and barcode can be printed on seal with customized length. Pull-tight type can be adjusted randomly with big strength; use plier to cut off after locking. Security seal is used widely with clear classification, such as container seal, oil tank trucks seal, railway seal, etc. the appearance of security seal is an revolution of confidentiality. It guarantees well the protection of goods of transportation industry basing on quality and good function. Cable seal can only be used at one time. It not only has wide application but also has obvious effect. For example, it can effectively prevent loss of electricity at electricity meter box and it makes 100% correct record of electricity bill. That is to say, it is a kind of solid safety cabinet. It is an effective way of monitoring export goods at customs transportation, and only special matching tool of customs can open. And once open, it can not be used. This property can guarantee the completeness and safety of goods. Cable seal has many different types and the representative are bullet type, handle type, flat with ABS type, hexagon type, etc.